As musicians around the world try to ensure that they are getting paid for their output, one secretive artist has taken the opposite stance - claiming that all music should be available for free. Egomunk, who has chosen to keep his identity secret, has made his first album available for free through his website and Bandcamp, where fans can pay what they like for it, and it has been downloaded more than 100,000 times. "The idea is to connect fans with the music of their choosing without letting the personality of the artist get in the way," egomunk told the Evening Standard. "So much music today depends on the mass-marketing, X Factor-style, of the musician." But that’s the polar opposite to how egomunk is approaching the music industry, simply letting his music speak for itself. He said that giving the album away lets fans "immerse themselves in my journey". "I don’t feel that music should be made for profit," he added. "It should be accessible to anyone who wants to listen." It’s not just the distribution of his music that egomunk is taking a unique approach to either, he’s also enlisted fans to crowdsource music videos for him and ran a competition for a fan to create the music video for his track ‘The Patient’. Of course the question still remains as to who egomunk is. His album ‘Footsteps to Mars’ appeared online back in July last year, but his identity has remained a mystery, despite many music blogs and magazines speculating and links to both Chris Martin and Damon Albarn having been made. 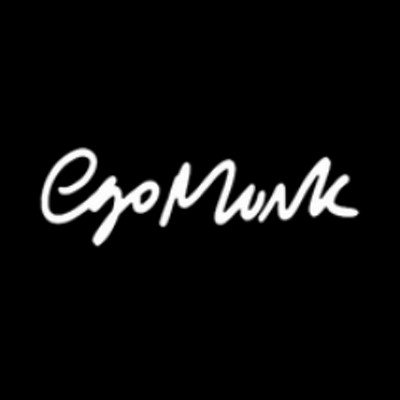 So while it’s killing us to not know who is behind this incredible album, one thing is for sure: we’ll be keeping a close eye on what egomunk is up to.